I rarely race xc, in fact the last time I raced xc was April 2011! I know its not a strength of mine but when the last round of the Off Chamber XC was on a free weekend I thought I'd give it a try! The weather forecast was suitably wintery so I decided my Niner SingleSpeed was the best option, I packed the van along with my road bike so I could ride home afterwards. 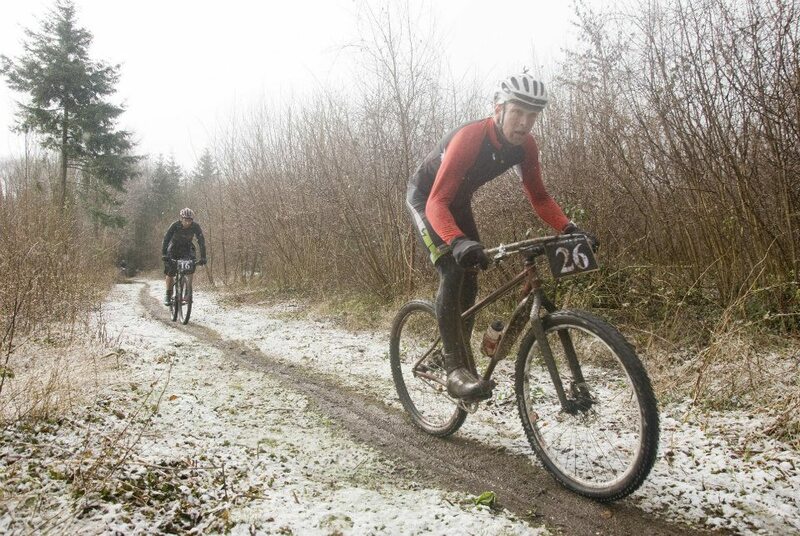 Sunday brought an unexpected coating of snow, undeterred we made the short drive to the race. The race had a low key vibe which I liked, the rolling start soon had things underway, I stayed with the front group and lead up the first hill, this didn't last long as a fast start on tired, cold legs soon had them burning! The course was fun but incredibly muddy! 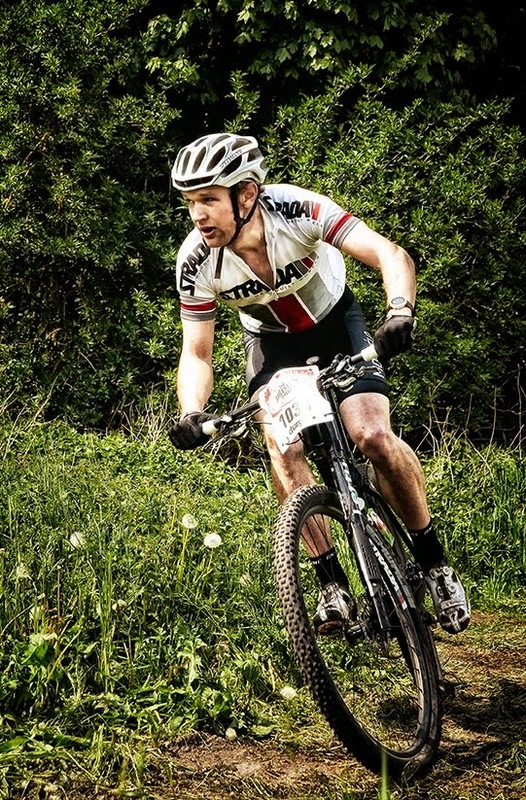 `few nice sections of single track and easy climbs, finished the first lap in 5th. Second lap, lots more mud, lost a few places as lost traction on the once easy climbs. Last lap, freezing cold, the course was more trashed, I didn't loose anymore places, finished 7th out of 45ish, a reasonable effort on a singlespeed, more importantly, I wasn't disillusioned on my XC form. I didn't manage the ride home, I was a shivering wreck!